Prince Frederick, MD– Recidivism or the rate at which convicted criminals return to prison increases as opportunities for employment and successfully reentering society decreases. A Calvert County nonprofit organization called Farming 4 Hunger (F4H) is taking aim at that fact by literally cultivating new productive citizens who learn about farming who in turn feed impoverished local families. 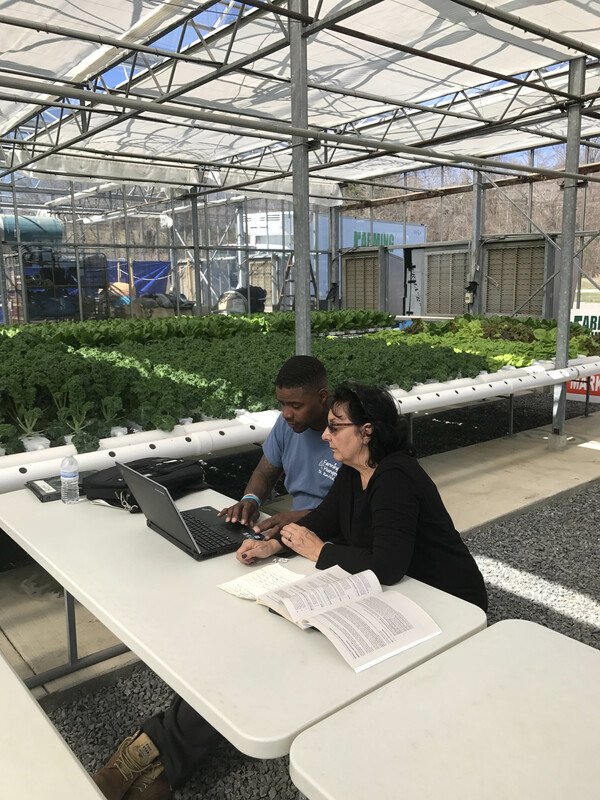 The initiative called 2nd Chances is expanding its workforce training program thanks to a $14,370 Maryland Agricultural Education and Rural Development Assistance Fund (MAERDAF) grant, which is administered by the Rural Maryland Council (RMC). Specifically the funds will be used to hire a life coach and career coach and purchase training supplies for the “Getting Ahead While Getting Out” program. “The 2nd Chances Initiative is a brilliant concept and is feeding lives,” says Linda Canfield, director of Development, Farming 4 Hunger. “When prisoners complete their sentences they leave the Department of Corrections with $50 and a wish for luck. We want to give them a true second chance. Unfortunately many of these men never had a first chance. They were never loved or respected,” she adds. The Initiative helps justice-involved citizens or what society commonly calls “inmates” work through anger and family issues as well as how to manage conflict. In addition, they receive agricultural education at the six-acre plot and two greenhouses leased by the nonprofit organization at a 272-acre farm in Charles County aptly called Serenity Farm. Here they also receive jobs skills training and discover ways to overcome the common obstacles that will stand in their way upon release. Obstacles include getting a driver’s license, lacking skills for sustainable work, obtaining scholarships for furthering their education and looking for employment. Farming 4 Hunger’s program works on many levels seemingly healing and helping everyone that crosses its path. To date Farming 4 Hunger has produced more than 6.5 million pounds of food that has been distributed in the Southern Maryland and Baltimore areas. F4H partners with the Maryland Food Bank “Mobile Pantry” program to grow vegetables, package and distribute fresh produce for residents in Southern Maryland. In addition to produce grown at Serenity Farm, Farming 4 Hunger also works with the Southern Maryland Agricultural District Commission to “glean” or collect excess produce from at least 27 local farms, which would have gone to waste. The grant-funded 2nd Chances program coordinates with the Department of Corrections Southern Maryland Pre-Release Facility. The goal is to rotate 16 inmates through the program in a season. The participants are recommended for the program, which has become so sought after that inmates from other areas are requesting transfers to the Pre-Release Facility. Not only are the inmates introduced to agriculture and farming skills, but other workforce development skills such as computer skills through a special partnership with a mobile service called the JobSource bus as well as the College of Southern Maryland. “The secret sauce of Farming 4 Hunger and its ability to transform lives is how each of our initiatives could be standalones, but that they work better together,” Canfield adds. “Supporting programs that not only reach into the community on so many levels, but also effectively creates impact in many years to come are key criteria for selection for the MAERDAF grants,” says Charlotte Davis, executive director, Rural Maryland Council. “Farming 4 Hunger is one of those quintessential nonprofits that has program that seems to check off all the boxes,” she adds. Bernie Fowler, Jr., a custom homebuilder and son of former state senator Bernie Fowler Sr., founded Farming 4 Hunger in 2012 when he saw several of his former employees in line at a local food pantry. Despite his own financial issues due to the economic downturn, Fowler was inspired to make an impact in his community. 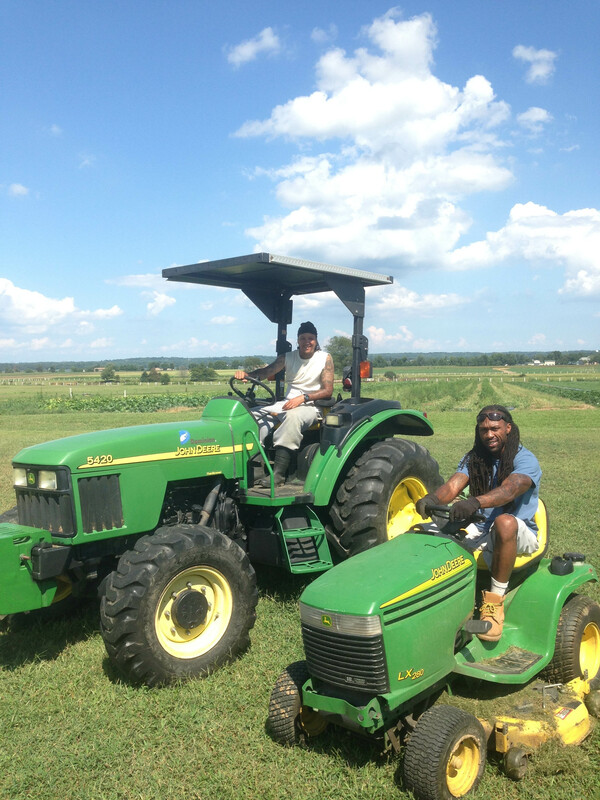 Farming 4 Hunger operates out of Serenity Farm, a 272-acre farm in Hughesville, Md. The nonprofit’s initiatives include programs to feed the hungry as well as outreach to youth and a program called 2nd Chances which equips inmates to return to society as productive citizens. Farming 4 Hunger exposes justice-involved citizens to agriculture and farming skills through a program called the 2nd Chances Initiative. The program recently received a $14,370 Maryland Agricultural Education and Rural Development Assistance Fund (MAERDAF) grant, which is administered by the Rural Maryland Council (RMC). Jobs skills training through one-on-one coaching is an important part of the 2nd Chances Initiative. The MAERDAF grant will be used to hire a life coach and career coach and purchase training supplies for the “Getting Ahead While Getting Out” program.